The Kurhaus had been known since the 18th century in spa towns. It would have had palatial rooms for meeting and socialising, listening to musical concerts and hosting ball evenings. During the course of the nineteenth century it made its grand entrance into the life of the burgeoning seaside resorts. It was a sort of grand hotel where the emphasis was on pleasure and diversion. 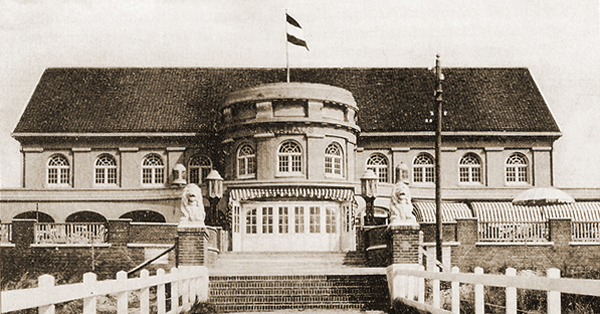 Usually, it began life as a Kurzaal and later changed its name to Kurhaus. 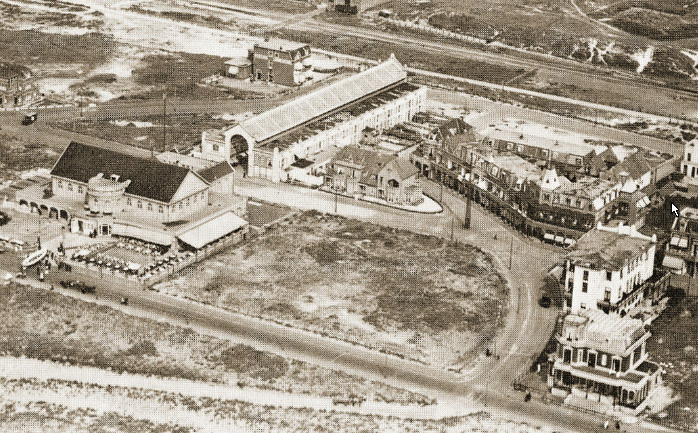 This was the case in Zandvoort where the Kurzaal was known as the Kurhaus from 1900. 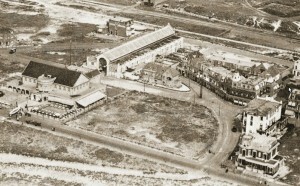 The first stone was laid on 25th February 1881 and, together with the Passage, it formed the architectural axis of the new Bad Zandvoort resort. Construction went ahead quickly and the opening took place the same year simultaneously with that of the railway and the Passage. The Hotel Kurzaal was linked to the Passage by a huge staircase comprising a central building crowned with four pointed turrets. On either side of the main building, two galleries formed a crescent, a long semi-circular terrace which offered a view of the sea and could accommodate 4000 visitors.There were also two pavilions, one at either end of the crescent. From a distance the whole looked like a fairy tale palace. The kurzaal itself formed the central element of the hotel, and was a completely wood-lined room with an area of400 square metres. The 46 guest rooms were situated in both galleries and the end pavilions housed the spa doctor and the hotel management. After the turn of the century the number of overnight stays fell. 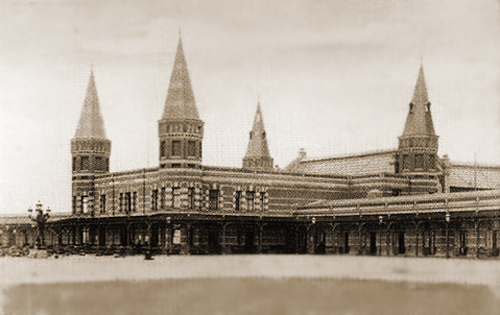 In 1913 the new owner commissioned a design for a new, updated Kurhaus and the hotel side disappeared. The stress was now on pleasure end diversion. 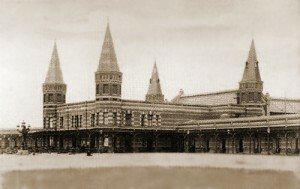 The old Kurhaus was pulled down and a new one erected in the same year. It had a classical design and was surrounded by a flight of steps. Although badly damaged, the Kurhaus survived the wartime destruction of 1943, yet it disappeared three years later in 1946 when it was demolished, never to rise again. It was felt that there really was no place in post-war Zandvoort for such a worldly project.